December 11th, 2017. Chief Executive Strategist Brian Suskiewicz recently attended the AFC Dream Asia Awards in Bangkok, Thailand. As a key official Social Responsibility partner of the Asian Football Confederation, CAC delivers various projects throughout Asia including creating Sustainable Community Legacies at the AFC Village in Tacloban, Philippines following Typhoon Haiyan and in Sindhupalchok, Nepal after the recent Earthquake. 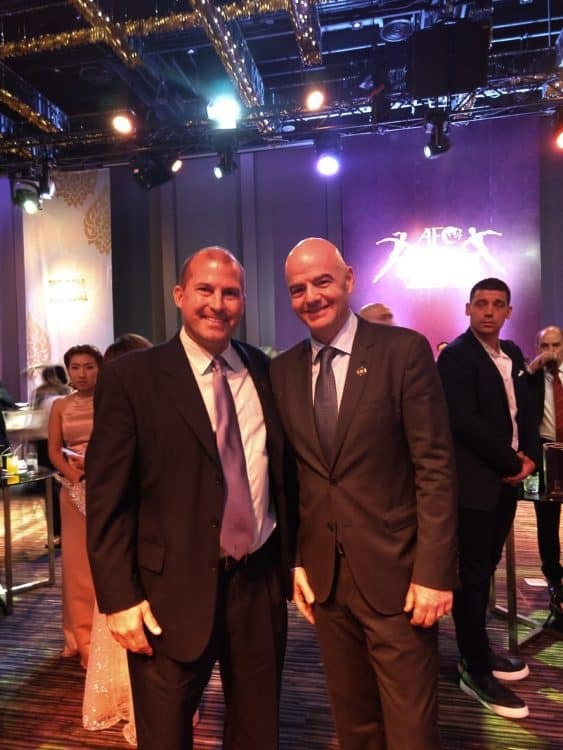 Throughout the two-day event Suskiewicz spoke with FIFA President Gianni Infantino as well other AFC Social Responsibility partners the UNHCR, the International Federation of the Red Cross, and the United Way, about ways to continue to create social change through football. During the conference a special meeting of the AFC Social Responsibility committee and partners was convened to Design, Develop, and Implement further social responsibility projects throughout the 47 Member Associations of the AFC. Joining the meeting was AFC Executive Committee member Ahmed Eid S. Al Harbi (Saudi Arabia), Park Ji-sung (former Korean Republic international and Manchester United legend), and Head of CSR for the AFC, Dr. Anna Ranganathan. Awards were given at a star-studded gala on the final night for the best players, coaches, teams, and social responsibility projects throughout Asia for 2017. A new state-of-the-art mini-pitch was also opened as a Legacy project donated by the AFC. 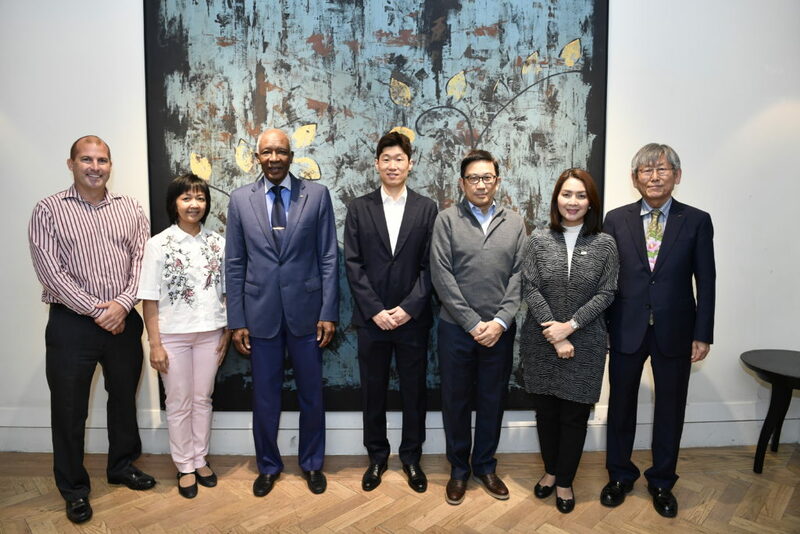 On hand were the AFC President Shaikh Salman bin Ebrahim Al Khalifa, FIFA President Gianni Infantino, FA Thailand President Police General Somyot Poompanmoung, President of Bangkok Thonburi University Dr Bangon Benjathikul, Dwight Yorke (FIFA Legend), and Park Ji-sung. Altogether 160 refugee and stateless children from Thailand’s border areas, identified and selected by AFC’s Social Responsibility partner UNHCR, were invited to the launch and participated in the activities. Coaches Across Continents is a proud partner of the Asian Football Confederation and will continue to create Community Legacies throughout the continent. Brian Suskiewicz. (Coaches Across Continents); Dr. Susheela Balasundaram (UNHCR); AFC EXCO member Ahmed Eid S. Al Harbi, Park Ji-sung, P. Ming Wong (United Way), Gwendolyn Pang (IFRC), Shin Chul-soon (Cerebral Palsy Football Korea).